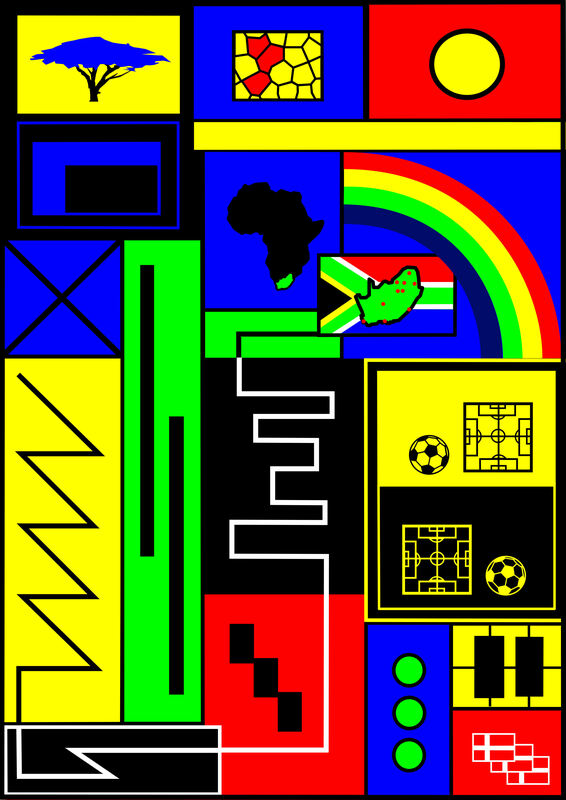 The collection of original football-themed artworks produced by 160 leading contemporary artists from the 32 qualifying countries at 2010 FIFA World Cup are auctioned on 5 July 2010 at 2 PM at 5th Floor, 10 High Street, Melroce Arch, Johannesburg. Among the artworks are "South African Joy" (picture to the left), by Asbjorn Lonvig, 2010, Size: 84 x 59.4, Inks on canvas, estimate $ 5,844 - 8,441. Should anyone like to pre-bid or to be live via telephone during the auction – please urgently contact lonvig@mail.dk. See the online auction catalog from Graham's Fine Art Auctioneers. See description of the whole project. 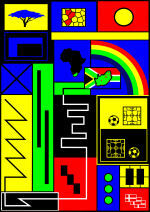 All artworks are "Official Licensed Products of the 2010 FIFA World Cup South Africa(TM)"